The sales prospecting landscape today looks a lot like California after the great Gold Rush. When James Marshall first discovered gold at Sutter’s Mill, word traveled quickly, even in 1848. Within a year, more than 300,000 prospectors were panning the streams, picking up whatever they could find on the surface. A few years later, most of those streams had run dry. The only way to strike gold was to dig. Today’s buyers are more informed and empowered than they’ve ever been. They can research a product or service from their smartphone and make a purchase without ever having to talk to a sales rep. Making an easy sale by simply sifting through a list and calling enough prospects rarely happens. You’ve probably heard all the excuses about why your team’s sales prospecting efforts are failing. No one answers their phone anymore. If they do, they’ll hang up within seconds. Social media is the best way to reach buyers these days. The truth is, prospecting has never been easy or glamorous — not even in at the height of the Gold Rush. That doesn’t mean it doesn’t work. We just like to think it’s impossible because it makes it easier to accept failure, or worse, avoid trying at all. If you’ve sworn off cold calling and you're content with being an average salesperson or having an average sales team, you should probably stop here. But if you’re willing to reconsider classic prospecting techniques and train your sales team to apply them in a new way, keep reading. 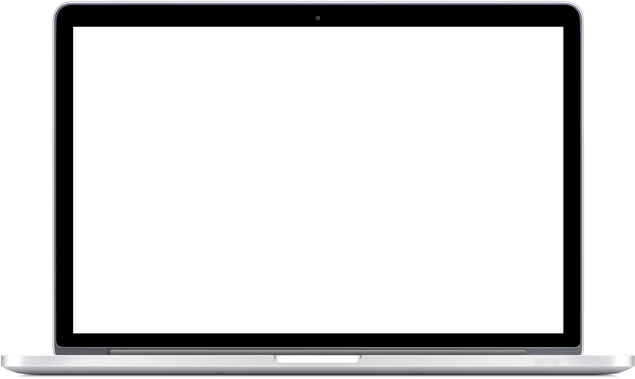 Many of your competitors have already abandoned these “old school” techniques in search of a silver bullet. The best sales people know these tactics still work, if you're willing to dig deeper. Sales is a science and a discipline, although it’s rarely treated that way. Confidence and charm may seem to win the day, but they’ll only take you so far. Real, consistent success only happens when sales professionals follow a scientific method based on proven results. That’s why we analyzed more than 100,000 sales prospecting calls at 100 companies across 19 industries to determine what sales prospecting techniques really work. Here's what we found. 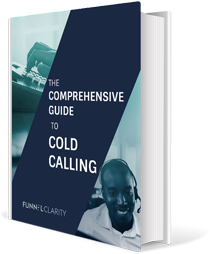 Cold outreach tends to get a bad rap, but cold calling is still an important part of the sales cycle. Our research found live phone conversations are still the best way to book a meeting with a prospect. 70% of decision makers said they are most likely to book a meeting while having a phone conversation, compared to just 15% who preferred email. Yet sales professionals often view cold calling as a necessary evil and an exercise in drudgery. That’s because all too often, they’re reaching the wrong people or not making direct connections with them. Here are a few of the most common mistakes salespeople make when cold calling. If you’re just going down a long list of leads, you might as well be shooting arrows into the dark. Instead, take the time to identify the best companies you want to work with, using criteria like industry, company size and revenue, and rank them. Look beyond LinkedIn job titles and identify prospects based on their responsibilities. Direct lines are far more efficient and effective than switchboards. On average, it takes 5 minutes to connect with a prospect using a direct line compared to 24 minutes when dialing through switchboards. And our research found sales professionals are 146% more likely to connect with an executive when calling a direct line! Use tools such as DiscoverOrg, TowerData, KiteDesk and ZoomInfo to find direct lines. Any experienced sales professional understands the importance of researching your prospects before picking up the phone. Yet many still don’t know how to start the conversation. Your sales professionals need to give prospects a valuable piece of information that will resonate with them. Talk about a trend that’s affecting their role or their industry. You’ll be much more likely to get their attention, even if they’re not actively buying. Fact:According to LinkedIn research, 74% of the time, buyers select the vendor that is the first to provide value and insight. Fact:Only three percent of the people in your prospecting universe are actively looking for a solution you provide, according to research by CHI. If you’re only talking about features and benefits, you’re offering nothing to the other 97%. When a prospect objects, it might be tempting to give a diplomatic response or flat-out ignore it and get right back to a script. Instead, acknowledge the objection and address it honestly. Then, take the opportunity to provide value using your research. If your prospect tells you they’re already working with a competitor, respectfully address why it might be a good time to evaluate alternatives. Don’t bash the competition. Want more cold calling techniques? Check out this comprehensive guide. In the mid 1800s, the average person was lucky to receive a letter once every two weeks. People spent hours crafting those letters. They would be intensely personal and read with great anticipation. Today, the average person receives 121 emails each day, according to the most recent data from Campaign Monitor. How many of those emails do you read with great anticipation? Email is still an effective prospecting tool, but it’s become so overused, it’s no wonder many of us delete the majority of our emails without even opening them. If you want your sales team to send the kind of emails that stand out, they have to have these four elements. Personalization goes beyond simply including someone’s first name in an automated email. Again, it involves doing some research before reaching out. Look for a recent article they’ve published, an award they’ve received or a common interest you share. Don’t be afraid to lead with that in the subject line. Personal details will get a prospect’s attention initially, but to keep their attention, you need to be relevant. Talk about a challenge they face in their role or a big change happening in their industry. Spark their curiosity and make them wonder how you can help. The goal of any good prospecting email is to book a meeting, but many emails fail to answer one important question: why now? Is your prospect beginning the fourth quarter and thinking about finalizing their budget for next year? Did their organization recently make changes? Be clear about why this meeting needs to happen as soon as possible and suggest times. Even better, allow them to book a meeting right then by accessing your calendar. Your top prospects aren’t necessarily opposed to meetings; they just don’t want you to waste their time. Be clear about the purpose of the meeting, how long it will take and what you’ll discuss. Here’s a good example of a prospecting email that has been successful for us at Funnel Clarity. Note the subject line includes a personal detail. The email addresses their role and mentions one of the challenges in that role. It mentions hiring and planning for next year’s initiatives, which adds a sense of urgency. It closes with a clear request for a meeting next week. Wow, that's something I need to consider. I wonder how they can help. I noticed you recently got promoted last month and you’re celebrating your 9-year anniversary with Company—congrats. I did some homework and found out Company is in the market for Lead Development Reps. I understand you’re overseeing the demand gen strategy. processes - they just don’t have enough time to cover skills training. For that reason, Funnel Clarity has spent the past 10+ years researching the first half of the sales process. The research has resulted in best practices that our clients use to uncover/qualify opportunities on an initial contact to a potential client. Since you’re hiring and many of our clients say now is when they start planning for next year’s initiatives, I’d like to share our research and how it helps sellers develop and manage their funnel. What’s your availability this week? 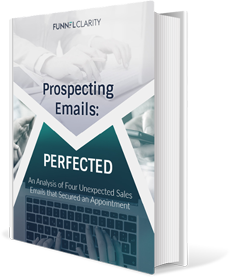 Prospecting email examples you or your team can start using right away. Check out this helpful resource. In the Gold Rush era, social networking meant shooting darts at the local saloon or telling tales about outlaws around the fire. Today, it’s an activity your sales team does throughout the day— and it consumes almost two hours of their day on average, according to research by Media Kix. If your sales team spent just a portion of that time each day engaging with prospects, you could see some incredible results. Fact:40% of salespeople have closed a deal through social media, according to Everyone Social, yet most companies don’t have a social selling process in place. Telling your team to start using social media to sell isn’t enough. You need to guide them by establishing key performance metrics (KPIs) for social selling. Here’s a great article on Sales Benchmark Index to get you started. Most salespeople have no problem using social media, but they need help using it strategically. They may not know what to share, how to reach out to a prospect or how to bring the conversation offline and get them on the phone. Designating someone to “own” the social selling program at your organization offers built-in accountability while ensuring everyone is using a consistent approach. Average sales teams make a certain number of calls each month and hope for the best. They write off what they can’t control and attribute it to a “bad month” or a “weak” business climate. The best sales teams—the Navy SEALs of lead generation—focus relentlessly on the outputs they can control. They use LinkedIn and business intelligence data to actively research prospects, prioritize them and prepare personalized talking points so they can make the best use of their time and their prospects’ time. These sales prospecting metrics are a good benchmark for what it takes to consistently achieve the highest sales numbers. However, effective prospecting is more than just a numbers game. Your SDRs need to do more than just put in the work. They need to have the right approach. Chances are, your best sales professionals don’t need to be told to do these things. But many of them have been following the same playbook for so long that they don’t know what they don’t know. They still struggle to get past the gatekeepers and reach C-level professionals. They can’t objectively evaluate their own calls and emails. And their manager assumes they must know what they’re doing because they’ve been doing it for so long. The fact is, everyone needs some level of training if they can ever hope to improve. They need to see how other sales professionals are successfully using new tactics to book the meetings that matter. They need to understand the science and the data behind why some sales prospecting methods work better than others. They need to learn new skills they can start using right away, and they need the opportunity to practice those skills. We don’t send surgeons away to a two-day summit to learn a new procedure and then expect them to perform it proficiently. So why do we expect that of our sales professionals? Funnel Clarity offers in-person and online sales training to empower your team. Our training combines research-based coursework and prospecting call examples with practical exercises your team can start applying right away. Each training program can be completed in three weeks and includes four weeks of reinforcement materials. Your organization can customize the delivery of this training to meet the needs of your team, condensing the information into just a few short days or extending it over a longer period of time. Training also includes study groups, coaching resources for sales managers and more. Ready to take your team from calling cold to striking gold? 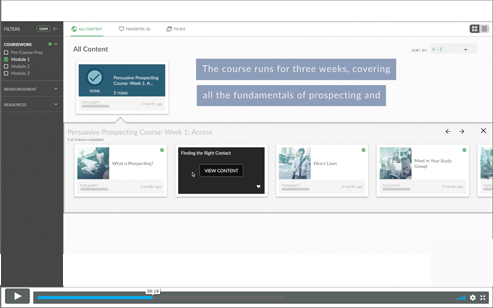 Request a demo of our prospecting training today.